"Better than fish, krill and flax oil or chia seeds because of it's stability. ﻿There is nothing else like it ―﻿ a crucial part of any wellness conscious person!" In the above video Dr. Adiel Tel-Oren MD introduces a breakthrough essential oil which is expected to create a revolution in the Omega-3 industry. 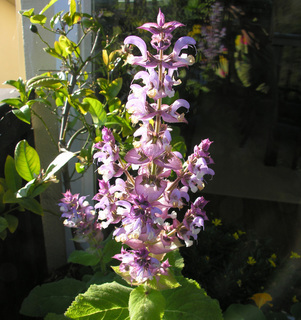 Research has revealed that the Clary Sage Seed oil is a superior source of ALA Omega-3. It is stable for up to two years at room temperature. It maintains all of its richness and potency without going rancid. It is raw, cold-pressed, and contains over 100 other active agents important to human body functions. Among these are natural co-enzyme Q10, vitamin E (all 4 types), many rare anti-oxidants and 9 types of natural phytosterols. Clary sage seed oil is a strong anti-inflammatory agent helpful for inflammatory conditions. Anti-oxidants, anti-viral, anti-bacterial, anti-fungal substances. Can balance the blood fat profile. … a product from clary sage seeds taking it a step further. An ideal combination with the enhanced Co Q10 allows optimal absorption of this intra-cellular antioxidant, essential for the function of cardiac muscle, other muscles, the brain, and the immune system…. a good formula to protect heart health. Disclaimer: The golden oil is a supplement. We do not claim to heal or cure medical conditions.